Limerick Mental health week is one of the most important weeks in the year for those working in the mental health field. It provides an opportunity for us to share awareness, connect with each other, expose research and highlight the need to reduce stigma and improve services. 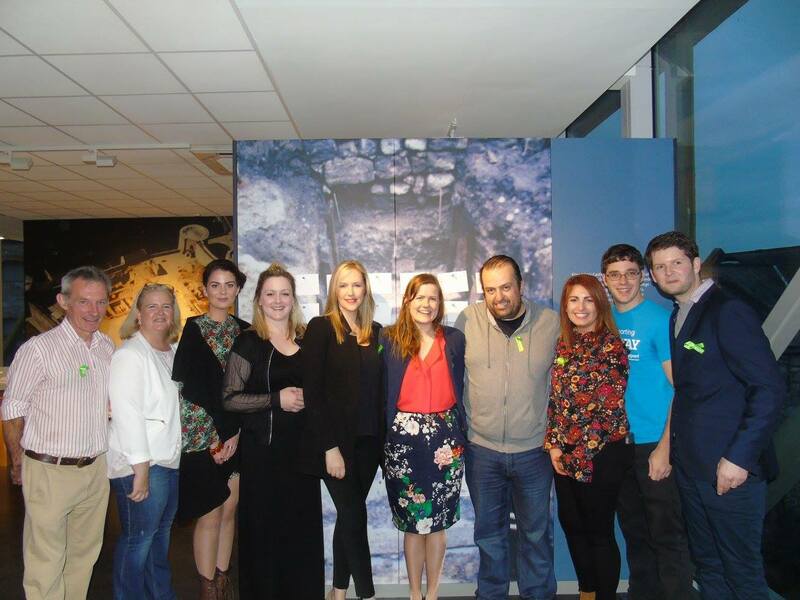 Here is a review of our Limerick Mental Health week 2016 went. Here at Limerick Mental Health Association we use Mental Health Week as a platform to further our mental health goals by attempting to become as immersed in the community as we can and work in collaboration with other organisations. Providing the community with service awareness and visibility whilst meeting and connecting with people is the main focus and goal of the week. We hope that we were able to achieve this objective through the various events held throughout the city and county. Sam Talks, a playful change on words from “Ted Talks” was hosted by the Samaritans in which one of our board Michelle O’Connor kicked off the night with her thoughts and experience of perfectionism, jealousy and anxiety which saw an amazing turnout and allowed many people to realise that even those that seem to be the most perfect of people are still battling with maintaining positive mental health. By becoming heavily involved with community based projects and organising community events it allows our organisation to delve into the interaction between mental health professionals and those in need of specific mental health services. Understandably one of the biggest highlights of the week was the Family Fun Day which turned Bedford Row into a sea of people and mental health service stalls. Magicians, clowns, a treasure hunt, a MyMind therapist and Limerick Mental Health Association board member dressed as the Red Power Ranger and an outstanding choir were all present to provide a great atmosphere while also spreading a positive message about mental health. These events, as fun and lighthearted as they may seem are also held for a number of different reasons. They hold great weight in allowing people to see that mental health services are not something that society needs to shy away and that these people are here because they indeed have a willingness to help others. They also provide communication between what the public needs and wants and what organisations can provide and improve upon. It must be acknowledged that by participating in these events the public (without realising) have a large amount of power in ensuring that these events continue to take place and get bigger and better. Many thanks to the public that attended the events during the week, to the various organisations who got involved and people who made the week a reality. The week has such a positive impact on mental health awareness within the community of Limerick and we all look forward to Limerick Mental Health Week 2017. This entry was posted in #LiMental, Limerick Mental Health Week, mental health and tagged #LiMental, be well, community, Fun & Social, limerick mental health week, positive mental health, world mental health day by lkmentalhealth. Bookmark the permalink. Thanks for your comment if you visit our website and browse a pop up will appear to allow you to subscribe. Thank you.